We’ve been excited about the 2019 Six Nations international rugby union for ages, and the curtain raiser certainly didn’t disappoint. And this year’s competition is as important as ever, with the 6 teams making final preparations for the Rugby World Cup later in the year. 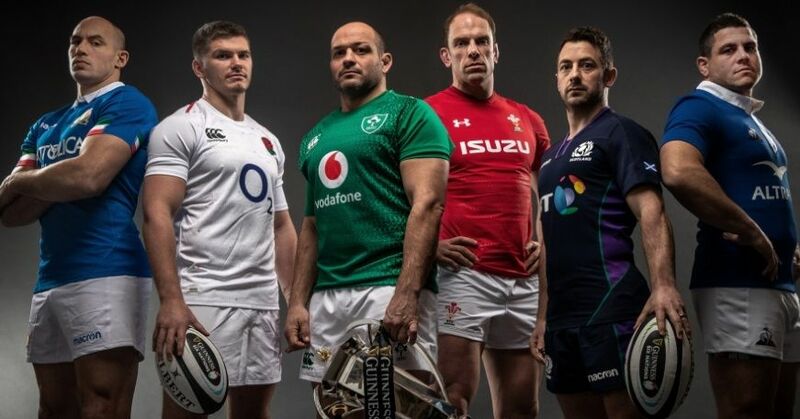 This guide will let you watch all the action from the comfort of your home, or anywhere else you can get an internet connection for that matter – live stream Six Nations 2019 rugby from anywhere. The impressive Irish are odds-on favourites to take the 2019 Six Nations title and make it two in a row after their Grand Slam last year. Captain Rory Best’s men recorded a famous victory over the All Blacks in November and fans and players alike are starting to dare to believe that a World Cup win could be within their grasp. England are in a strange place with their best XV still seemingly undecided by Eddie Jones. They recorded impressive autumn victories against South Africa and Australia and yet looked vulnerable against Japan. The 2019 Six Nations should therefore be a useful litmus test, as it should for Wales who beat the same Southern Hemisphere opposition late last year. Scotland continue to go from strength to strength and they’ll be looking to improve on a 2018 campaign that included Calcutta Cup success over England. France and Italy had 2018s to forget and have a lot of improvements to make should they wish to challenge either here or in Japan. For all the info about how to watch a Six Nations live stream, read on. It’s free to air in the UK, for example, so you can tune in for free by using a VPN if you’re outside the country when the match you want to see is on. And you can scroll down to see a list of this weekend’s fixtures, too. If you’re trying to watch online (either live or on catch-up) then you can get access via the BBC iPlayer and ITV Hub websites or mobile apps. Alternatively, just head to an online streaming TV service such TVPlayer.com, which has all of the UK’s freeview channels (including the BBC and ITV) in one place. This means you can catch the match on TV, computer, tablet and smartphone for free if you’re in the UK – or subscribe to TVPlayer Plus if you want to record it and watch later. Not in the UK this weekend? No worries – just download and install a VPN and use a UK location to watch live as if you were back home. Full instructions below. If you’re outside your country of residence – whether that be the UK or anywhere else – and try to start streaming the rugby via your native broadcaster, you’ll soon discover that you can’t as it is location restricted. But there’s a way you can watch anyway. By downloading and installing a VPN, you can effectively trick your computer into thinking that it’s back at home. That way you can enjoy your home coverage without having to find an illegal stream. It’s really easy to get started with a VPN – simply download, install, open the app and select the appropriate location. For example, you would choose a UK server if you were trying to watch the BBC or ITV coverage. Where can I watch the rugby with a VPN? A VPN will enable you to watch the rugby from literally anywhere. So that obviously includes: France, Italy, South Africa, Australia, New Zealand, Tonga, Japan, Argentina, Finland, Israel, Germany, Denmark, India, Netherlands, Brazil, Belgium, Romania, Mexico, Sweden, Portugal, Czech Republic, Ireland, Poland, Kenya, Hungary, Indonesia, China, Nigeria, Bangladesh, Russia, Japan, Egypt and more! If you don’t mind the late nights/early mornings and want to scout the best of Northern Hemisphere rugby before the World Cup, then subscription service beIN Sport is showing every game of the 2019 Six Nations. Whether you’re an All Black scoping out the competition for Japan at the World Cup, or an expat wanting to watch your countrymen from the other side of the world beIN Sport is the place to be. The NBC Sports Network has bagged the rights to the rugby in the US, and in particular you’ll need its Rugby Pass. Costing $69.99, you’ll get every Six Nations match commercial-free, live or on-demand, as well as Premiership Rugby and the Heineken Champions Cup. And remember, if you’ve gone ahead and purchased the Rugby Pass but are now finding coverage geo-blocked because you’re outside the US then be sure to look at our advice above regarding using a VPN to access the action. DAZN is a streaming service available in a select few countries including Canada, Germany, Austria and Switzerland. Luckily, it has secured streaming rights for the Six Nations Rugby. Red Honor 7X giveaway! Enter to win at Android Central!